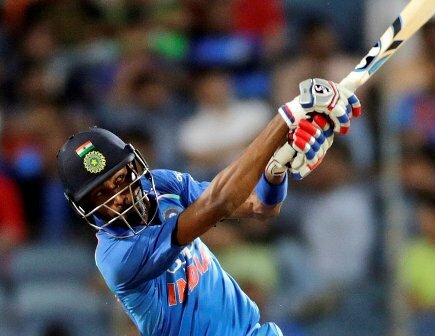 TNI Bureau: India registered a comprehensive six-wicket victory over New Zealand in the second ODI in Pune to level the series 1-1 with one match to go. New Zealand had posted 230/9 in 50 overs. Latham 38, Nicholls 42 and Grandhomme 41 were the top contributors. Bhuvneshwar Kumar 3/45, Bumrah 2/38 and Chahal 2/36 were the top wicket-takers for India. Chasing a victory target of 231, India lost Rohit Sharma lost early. But, Shikhar Dhawan 68 and Dinesh Karthik 64* played it safe and took India to victory. India reached 232/4 in 46 overs.